In 1974, amid the early days of the North American Soccer League, an unlikely team transformed a quiet suburb into a soccer haven. Combining excellent play with a grass-roots movement of fervent fans, the San Jose Earthquakes shook the Northern California sports landscape. While rival NASL franchises struggled for attendance, the Quakes played sold-out games to the most loyal and passionate fan base in the league, creating an unforgettable and enduring legacy. After the NASL disbanded, the team reemerged over a decade later as a Major League Soccer team and today commands as much fan loyalty and passion as ever. 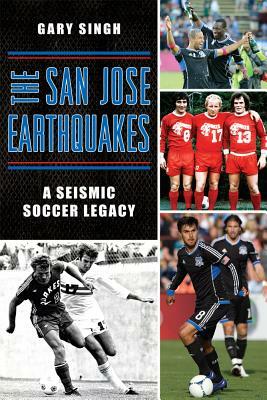 Join author Gary Singh, a San Jose native and lifelong fan, as he recounts the Earthquakes" legendary story in vibrant detail.